You know the saying about having too much of a good thing? I think that’s me, right now, as I think about starting infusions of the MS drug Lemtrada on December 5. Lemtrada is supposed to be a super drug. As I wrote in an earlier column, my neurologist calls it “stem cell lite.” Some wheelchair-bound MS patients have been able to take some steps after completing a course of Lemtrada. Others report similar improvements in other symptoms. There’s even a Facebook page where Lemtrada patients post selfies showing themselves smiling while hooked to their IVs and where they report about their experiences. This is where my information overload begins. This, I think, is why I’m nervous about starting this drug. You see, the people who post on the Lemtrada page really tell it like it is. And, for every post about someone whose MS symptoms are improving, there’s another written by someone who’s having side-effects of chills, rashes or burning legs. At least it seems that way. On the other hand, there are patients who, it seems, don’t suffer any side effects. It’s always been my feeling that the potential benefit of the MS drugs that I’ve used for 30+ years has outweighed the risk. So, I really can’t understand why the possibility of feeling “super tired,” feeling like I have the flu, or getting a sore in my mouth is bothering me. I’ve always tried to get as much information as I can about things before I make a commitment, whether the commitment is to buying a car or booking a trip or using a drug. But I think I’ve reached the point where the information is hindering more than it’s helping my decision-making. 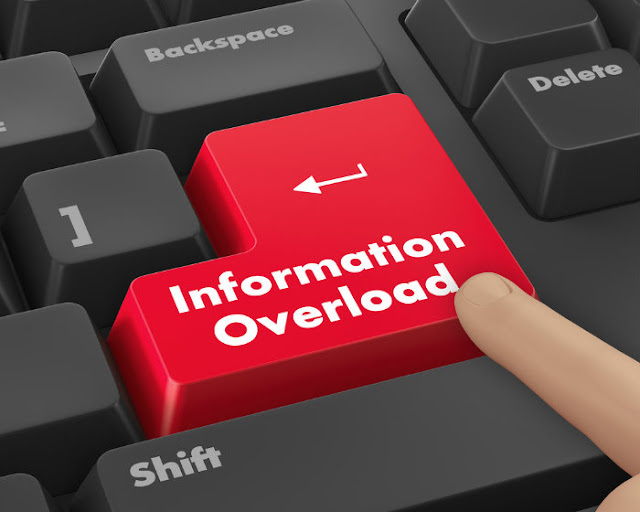 It’s information overload.